This morning, Gucci announced it will hold its Cruise 2020 show in Rome. 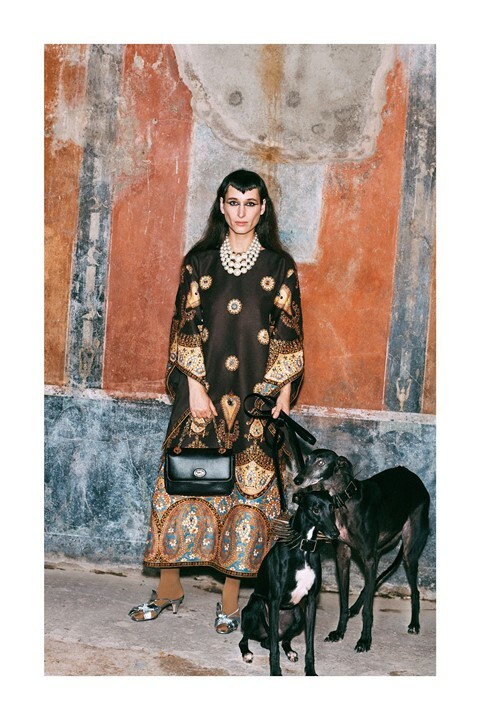 It is a location more than familiar to Alessandro Michele, who was born, lives and works in the city – Gucci’s headquarters are in Rome’s Palazzo Alberini-Cicciaporci, a Renaissance palace – and has continually drawn inspiration from the ancient antiquities and ornate churches of the Italian capital. The show will reflect these fascinations, held in the Capitoline Museums, a series of archeological and art museums on the city’s Capitoline Hill, on May 26. Set around a piazza, the grand buildings were originally conceived by Michelangelo in 1536 – though the museum itself can be traced back to 1471 – and contain rare statues, busts, coins and jewellery. Alongside the show, Gucci has pledged a two-year commitment to the restoration of Rupe Tarpea (the Tarpeian Rock), a steep cliffside on Capitoline Hill, used during the Roman Republic as an execution site (traitors, perjurers and murderers would be thrown off the cliff to their death). Gucci undertook a similar project in Florence, donating $2.1 million to aid the restoration of the Boboli Gardens after holding its Cruise 2018 show in the Pitti Palace’s Palatina Gallery, overlooking the gardens. Previous Gucci Cruise shows under Michele have been held around the world, from New York’s Dia:Beacon art gallery to Westminster Abbey in London; last year, Michele held the show among ancient Roman necropolis, Alyscamps, in France. His Pre-Fall 2019 lookbook, photographed by Harmony Korine, was captured in the Roman ruins of Pompeii, Herculaneum and Selinunte – reflecting the designer’s fascination with this period of antiquity. It extended to this season’s ready-to-wear show, too, with each guest each sent a reproduction of a mask in a museological crate in lieu of a paper invite (albeit Ancient Greek, rather than Roman). The announcement follows those from Prada and Louis Vuitton, who will both hold their Cruise shows in New York in May; Dior, who will stage its show in Marrakesh, Morocco in April; and Chanel, who will remain in Paris’ Grand Palais, the location of its ready-to-wear and haute couture collections. Max Mara, meanwhile, will head to Berlin.